HBO's True Detective season 3 has found its second lead. 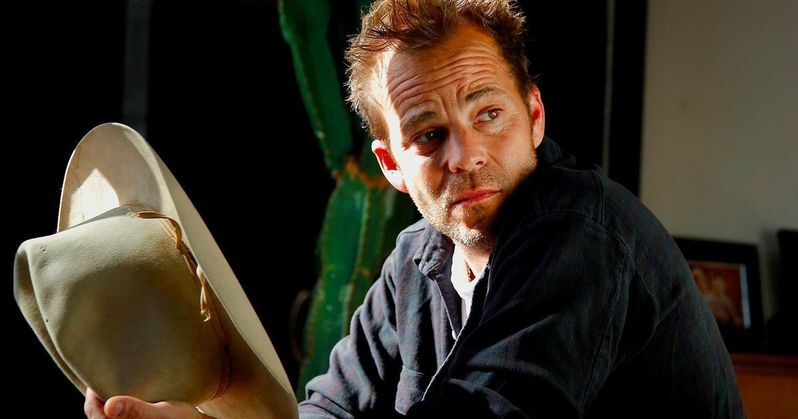 Blade and Leatherface star Stephen Dorff has officially been added to the cast as Mahershala Ali's partner on the upcoming season of the hit HBO anthology series. While most of the supporting cast has not yet been announced, the key players are in place for the new season of True Detective and HBO will have a chance to make up for the less-than-ideal second season of the show, which aired in 2015. Most of the details for True Detective season 3 are, understandably, being kept under wraps at this stage. But it's being reported that Stephen Dorff will play a character named Roland West who "has his life and career influenced over three decades by a baffling crime." He's said to be an Arkansas state investigator but, beyond that, not much else has been revealed. True Detective season 3 also stars Carmen Ejogo (Selma) as Amelia Reardon, an Arkansas teacher who has a connection to two missing children. Oscar-winner Mahershala Ali is set to play a character named Wayne Hays. Outside of the characters, we know that True Detective season 3 will take place in the Ozarks. HBO says the new season is a "macabre crime... and a mystery that deepens over decades and plays out in three separate time periods." Series creator Nic Pizzolatto returns for True Detective season 3 and, for the most part, is the sole writer of the new season. He did, however, co-write episode 4 of the upcoming season with David Milch, who was brought on board to help form True Detective season 3. Beyond that, this is Pizzolatto's baby. True Detective season 1 was a massive hit for HBO, behind stars Woody Harrelson and Matthew McConaughey. Unfortunately, the second season, which starred Colin Farrell, Vince Vaughn, Rachel McAdams and Taylor Kitsch, wasn't able to recapture the same magic for many fans. That's why it's taken so long for the new season to get going, as season 3 was far from a guarantee after the sophomore season misstep. It's early, but True Detective season 3 has an already very intriguing cast and, along with Nic Pizzolatto, Green Room director Jeremy Saulnier will also direct some of the episodes in the new season. The talent is certainly in place for this to be great. In addition to the news of Stephen Dorff's casting, it's also been revealed that True Detective season 3 will begin filming very soon. According to Omega Underground, HBO plans to get production rolling February 12 in Arkansas, with the series going under the working title of Outlaws. Even though filming is set to begin very soon, HBO has yet to reveal a premiere date for True Detective season 3, but it's possible we could see it arrive before the end of 2018. We'll be sure to keep you up to date as new details on the project are made available.